We need your help! We are looking for people interested in serving on our Board of Directors. Is the largest Francophone early-childhood centre in the Atlantic. Is the recipient of the Better Business Bureau Ethics Award in 2012 – a prize that sets us apart from other Atlantic institutions. 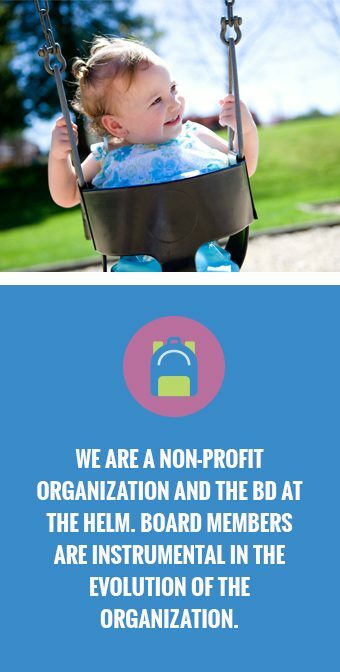 We are a non-profit organization run by a Board of Directors. Board members play an instrumental part in the evolution of our organization. We are looking for individuals with legal, management, marketing, human resources and communications expertise, or those interested in a rewarding experience for both personal and professional development. No experience is required to get involved, only an interest in preserving the success of the organization, and the desire to promote continued delivery of quality Francophone services for the region. By joining the Board, you commit to a two-year term, including meetings once per-month (around 8 to 10 meetings per-year). In addition, you will play an important role as a representative of the Francophone community in Nova Scotia. Monetary compensation is available when attending meetings, including reimbursement for child care expenses and travel costs. Help us highlight the importance our Francophone services. Your strategic vision, professional network, dynamism and creativity are all invaluable assets. Contact Jane by e-mail: jane.williamson@petitvoilier.ca or by telephone at 902-435-9177.